The Quinn Keast Foundation hosted its second annual No Regrets Basketball Tournament this past weekend, and the tournament was an absolute success. 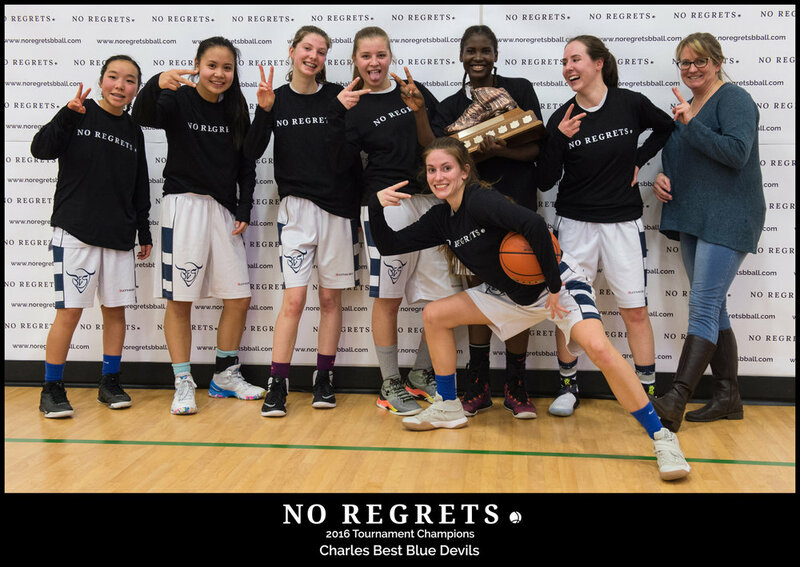 The No Regrets Basketball Tournament is a high school seniors basketball tournament that features both girls and boys teams from across Western Canada. The tournament games are hosted at various North Shore high school gymnasiums, and the teams competed at an extremely high level during this 3-day tournament. After the dust settled it was South Kamloops taking the title over Handsworth in the final of the boys division, and Charles Best claiming victory over Walnut Grove in the girls division final. Digby Leigh & Company alongside a number of other members of our community, were part of the No Regrets Basketball Tournament Organizing Committee that both sponsored and helped put this event together. For a review of the tournament, including further game results, game stories, all-star teams, photos, historical tournament statistics and scholarship recipients please visit the website at www.noregretsbball.com.